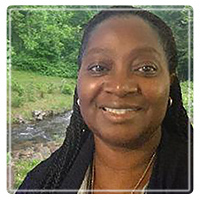 Silver Spring Therapist: Mary Beasley - Therapist 20904. Hello and welcome to LewMar Innovations, my name is Mary Beasley, and I am a Licensed Clinical Christian Counselor; I have earned a Master’s degree in Ministry-Christian Counseling Emphasis from Freedom Bible College and Seminary. I have over ten years of experience working with individual, couples and family counseling. Along with being a Christian Counselor, I am also a published author, Motivational Speaker and the founder and Administrator of LewMar Innovations Christian Counseling and Training Center, a Certified Academic Institution of the National Christian Counselor Association, (NCCA). There is a significant and expanding need for caring, well-trained Christian Counselors. Many Christians have discovered that Christian counseling is more consistent with their beliefs than secular counseling, and can provide real solutions to the problems that face them. •	Provide comprehensive and effective services integrated with Christian beliefs and values, by providing services, rooted in Biblical truths and ethics, for the Christian community and the community at large. •	Developing and honing our spiritual gifts with the scientific knowledge and professional skills of evaluation, assessment, and diagnosis, treatment planning, and therapeutic intervention. There is a breakdown of marital and family values and relationships in the home which serves to undermine the institution of the Christian family and registers a degenerative effect on society as a whole. The Bible clearly indicates in Mathew 16:18 that God has designed the Church, the Body of Christ, to address this most serious problem of the family deterioration effectively. In the early establishment of Christianity, the Church was solely responsible for the counseling of its people. We believe that no one is better qualified to counsel than those who know and understand man’s unique position in the plan of creation and realize the place God has for man in eternity. Forgiveness is a gift to the Victim – Most people do not understand that forgiveness is not for the perpetrator or offender. God created forgiveness for victims to be restored so he/she can regain the happiness, peace, and joy that was taken from them. The road to forgiveness is difficult; we are committed to walking with you to forgiveness where you will regain the happiness, peace, and joy God intended for you. Remember all things are possible with God.